If you feel overwhelmed in the wine aisle, award labels could be your way of avoiding rank Rieslings and sub-par Syrahs. But when so many bottles are plastered with medals or awards, how can you choose between them? The majority of metallic stickers on wine bottles represent endorsements from wine shows and competitions. There are more than a dozen of these events in New Zealand each year. Most charge a fee to enter a wine. Products are blind-tasted by panels of judges. Wines can get gold, silver, bronze or commended awards, based on the judges’ assessment. It’s possible all entries could earn an award if they pass muster. At the 2016 New Zealand Aromatic Wine Competition, held at the Canterbury A&P Show, more than 200 wines received awards. Twenty-seven were judged as gold medal worthy, 73 as silver and 123 bronze. At this year’s Royal Easter Show Wine Awards in Auckland, more than 60% of the 1111 wines entered received a medal. These shows also hand out trophy/champion awards for wines chosen as the best in their category – what the judges deemed as being truly exceptional. The other major contributors to wine endorsements are reviewers, who give their stamp of approval to products they rate highly. Veteran wine journalists Michael Cooper and Bob Campbell (a master of wine) will review submitted wines. If a wine gets the tick, the winemaker can carry the reviewer’s endorsement sticker on their bottle. Wine critics Sam Kim (Wine Orbit) and Raymond Chan (Raymond Chan Wine Reviews) also run endorsement schemes. Winemakers pay a fee to have their wines tasted. If they receive a recommended rating (above 85% or 15.5/20 respectively), they can buy stickers to put on the bottle. Almost all stickers cost the winemaker to purchase. 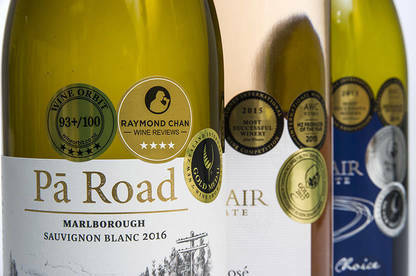 A roll of 1000 stickers with the Bob Campbell Real Review logo costs $84 plus a licence fee, Michael Cooper’s Buyer’s Guide and Raymond Chan Wine Reviews stickers are both $46, and Wine Orbit’s fee is $34. You’ll also see labels from international review sites and competitions. Most charge for stickers. The International Wine Challenge charges $89.24 for 1000 stickers, Winestate magazine $48.30, China Wine and Spirits Award $85.19. One trap to be wary of is bottles carrying award labels won by the vineyard from well before the wine you’re looking at was made. Bottles of 2016 Trapiche Malbec from Argentina wear International Wine and Spirit Competition Award medals from 2006, 2011 and 2012. Then there are labels that have the shape and appearance of a medal but aren’t. Selaks’ 2016 Sauvignon Blanc has a gold medallion that reads “over 80 years fine winemaking”. Sacred Hill’s 2015 Merlot Cabernet has a large silver circle on it shouting “CHEERS TO 30 GREAT VINTAGES”. Stickers can also represent awards to wineries or brands rather than specific vintages. Bottles of Villa Maria 2016 Chardonnay wear a gold medallion that reads “New Zealand’s Most Admired Wine Brand”. It’s not specific to the wine but an award decided on by a judging panel of 200 convened by British magazine Drinks International. Over the ditch, there have been efforts to clean up wine labels. In 2005, industry organisation Winemakers’ Federation of Australia established a code of practice on how Australian wines are marketed. The code states labels must be specific to the wine they’re attached to and from an independent competition. Now based in Australia, former Wine Writers of New Zealand chair Jo Burzynska thinks we should follow. “It would be far less confusing for consumers in New Zealand if a similar code was adopted here,” she said. New Zealand Winegrowers acting chief executive Jeffrey Clarke said while there wasn’t a code of conduct for labelling here, there was an expectation for NZW members “to have truthful and accurate labelling on all of their products”. Last year, 98% of New Zealand’s vineyard area met the New Zealand Winegrowers (NZW) industry standard to be called “sustainable”. Since 2002, NZW has run the Sustainable Winegrowing New Zealand programme. The programme sets out general principles for sustainable production but doesn’t require winemakers to meet any hard targets. Vineyards report to NZW on their progress. Winemakers can also opt to use the Sustainable Winegrowing NZ tick on their bottles. The tick shouldn’t be confused with organic certification, which sets much tougher environmental standards. 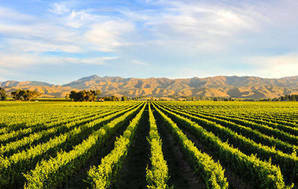 About 7% of New Zealand wine produced last year was certified as organic. The 2 main organic certification schemes are AsureQuality and BioGro. Certified products will carry one of the scheme’s logos. Wines produced using biodynamic principles can be certified by the New Zealand Biodynamic Association and carry the Demeter Biodynamic Certified label.